In recent years, agile software development methods have gained increasing popularity. Distributed software development have been becoming a common business reality also. Software development organizations are striving to blend agile development methods like Scrum and distributed development to reap the benefits of both. However, agile and distributed development approaches differ significantly in their key tenets. While agile methods mainly rely on informal processes to facilitate coordination, distributed development typically relies on formal mechanisms. 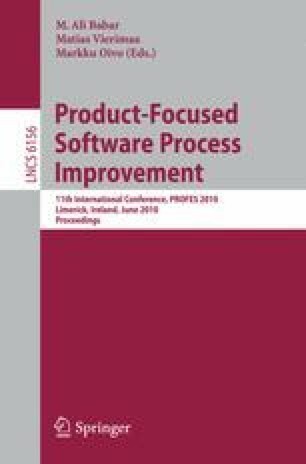 This paper aims at implementing modular design of software products to identify feature clusters that can be implemented co-located to minimize the communication needs between distributed teams. Presented method is evaluated with simulations that demonstrate how this method can produce 1) lower-risk feasible plans, 2) balanced workload on teams, and 3) provide higher quality feature distributions. Finally, the paper analyzes benefits and issues from the use of this method.